Did the latest challenge at work bring on a tightening in your stomach? Does constant worry about a loved one’s health make you physically ill yourself? Everyone at some point feels the effects of stress. Not everyone deals with stress in the best way, though. Often stressed-out people seek relief through alcohol, tobacco or drugs, but that just makes matters worse. Instead of relieving stress, those toxic substances tend to keep the body in a stressed state, causing even more physical problems. April is Stress Awareness Month, a good time to reflect on how the demands and anxieties of daily life put a strain not just on our minds, but on our bodies as well. Stress, of course, is not always a bad thing. It does serve a positive purpose. It can keep us alert and prepares us to avoid danger. But stress becomes a negative factor when a person faces continuous challenges without any time mixed in for relief or relaxation. As a result, people become overworked, and stress-related anxiety and illness can occur. The strain leads them to suffer from such ailments as headaches, upset stomach, elevated blood pressure, chest pain and problems sleeping. Musculoskeletal system. 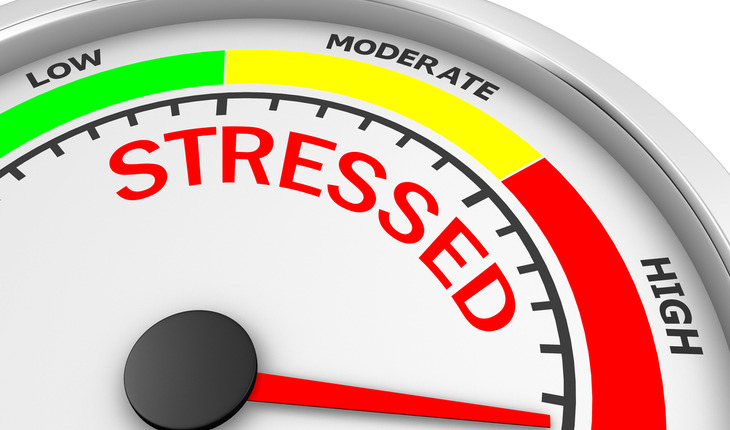 When we experience stress, it’s natural for our muscles to tense up. “It’s the body’s way of guarding against injury and pain,” Purvis says. Usually, the muscles relax once the stressful event passes. But chronic stress keeps the muscles in a constant state of guardedness. When muscles are taut and tense for long periods of time other reactions in the body are triggered. Chronic muscle tension in the shoulders, neck and head can lead to tension-type headaches and migraines. Respiratory system. Stress causes people to breathe harder. That’s not a problem for most people. But if you suffer from asthma or a lung disease such as emphysema, getting essential oxygen can be difficult. Some studies show that acute stress events – such as the death of a loved one – can trigger asthma attacks in which the airway between the nose and the lungs constrict. Also, rapid breathing associated with stress – or hyperventilation – can result in a panic attack in some people. So what’s to be done? Stress is a natural occurrence in life and happens to everyone. Since you can’t avoid your job, bills, or other life experiences, the best thing to do is learn to manage stress. You won’t avoid stress entirely, but it is possible to minimize the effects by eating healthy, exercising regularly, getting enough sleep, and taking care of yourself in general. Richard Purvis, author of Recalibrate: Six Secrets to Resetting Your Age, (www.richardpurvisauthor.com) is a health and wellness practitioner with more than 30 years of dedicated experience in nutrition, exercise, anti-aging and overall wellness. He is the current CEO of Skin Moderne Inc., and was founder of such wellness companies as Nutrimax, Nutritbrands and Skin Nutrition. He also was co-founder of Noggin Nosh.